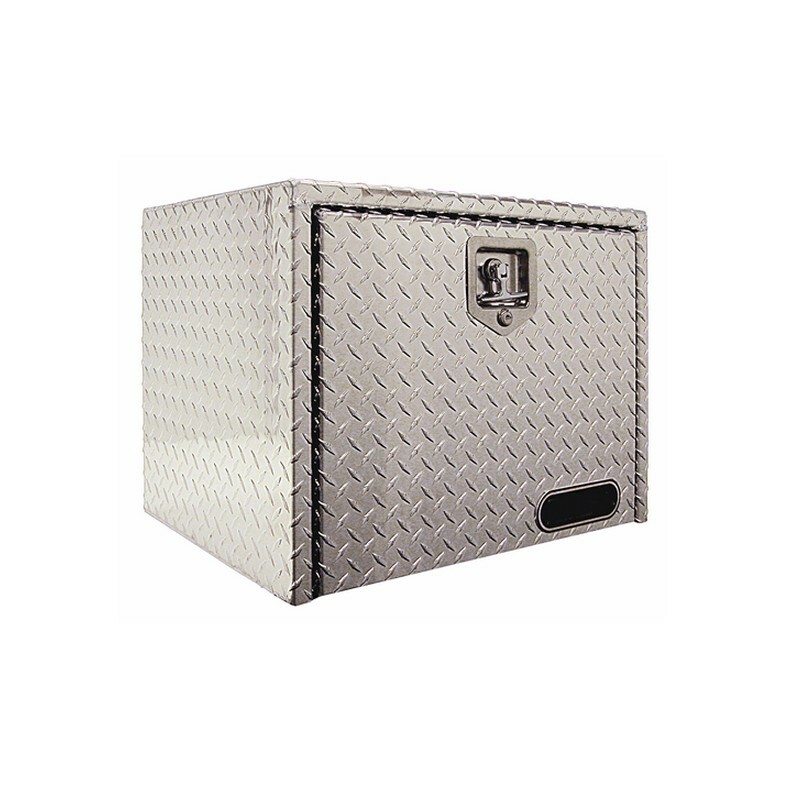 > Tool boxes>ALUMINUM UNDERBODY TOOL BOX 30\\\" X 18\\\" X 18\\\"
ALUMINUM UNDERBODY TOOL BOX 30\\\" X 18\\\" X 18\\\"
This heavy duty Contractor/Tradesman aluminum tool box is made to fit most dump trucks, flatbed trucks and trailers.Made in the USA with high grade 100 gauge polished diamond plate aluminum and stainless steel locking tee handle for long time good looks and low maintenance. The recessed door and thick automotive gasket combine to keep your contents safe and dry. 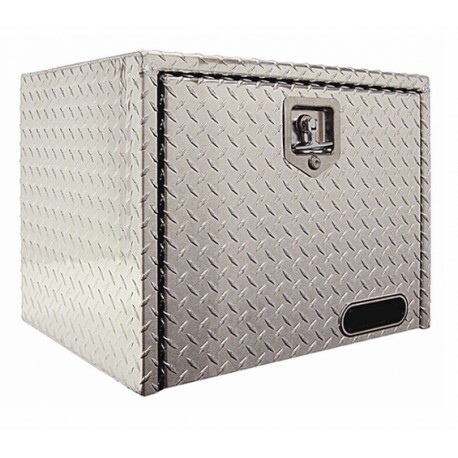 This heavy duty Contractor/Tradesman aluminum tool box is made to fit most dump trucks, flatbed trucks and trailers.Made in the USA with high grade 100 gauge polished diamond plate aluminum and stainless steel locking tee handle for long time good looks and low maintenance. The recessed door and thick automotive gasket combine to keep your contents safe and dry. Box is 18\"H x 18\"D x 30\"W. Ships via FedEx Ground. Features: 100\" polished diamond plate aluminum. Reinforced door for extra strength and latch protection. Stainless steel locking tee handle. Concealed continuous door hinge is watertight. Recessed door with beveled edge for a better seal. We recommend measuring your truck for a proper fit. Consult your vehicle manufacturer for any limitations or restrictions before installing. See additional Mounting Brackets below.